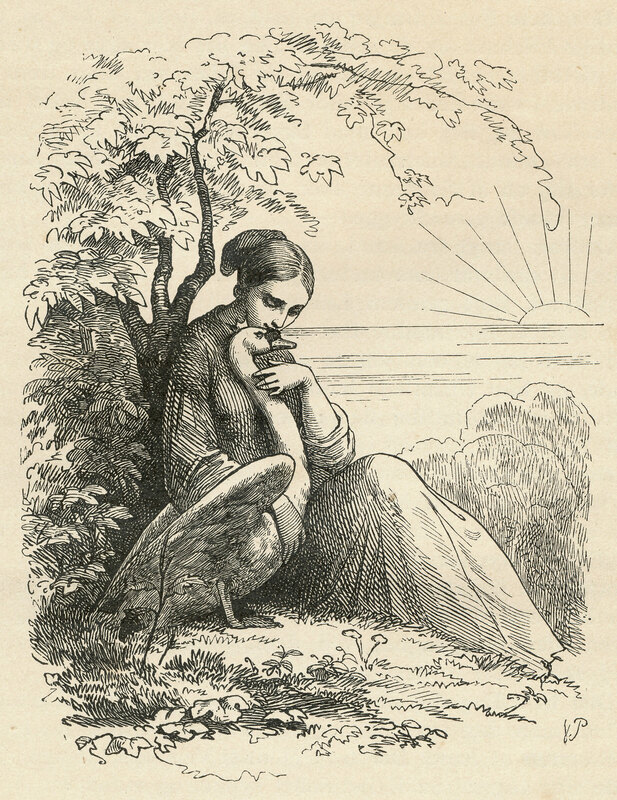 Originally a classic folktale, the story of the eleven swans was first recorded by Mathias Winther (1795-1834) in 1823. Born into poverty on the island of Funen in Southern Demark, Winther came to lead a brief and interchangeable life. During his career, he functioned as a military doctor, surgeon, folk collector, librarian and author, before he was incarcerated in 1832 for defamation. Two years later, Winther, died of pulmonary tuberculosis, barely reaching 39 years of age. Long before his passing, however, Winther had concentrated his collecting of folk tales to Odense, publishing the very first anthology of Danish Fairytales in 1823. It is not known whether Hans Christian Andersen heard this tale already as a child growing up in Odense, or if he picked it up on a later stage in his life. 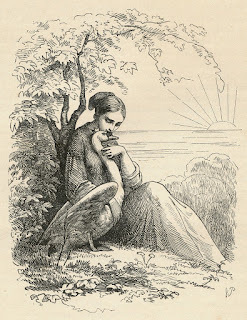 It is however certain, that he wrote a letter in 1834, asking a friend to “read Mathias Winther's fairytale, than read ‘The Wild Swans’, and tell me if it's good or bad." The “good or bad” feedback he was aiming for, was his own rewriting; he had made use of Winther’s records, yet changed the tale’s moral intention. The story goes, that the king marries a wicked queen, whom bewitches the king's eleven sons into swans. The king's only daughter is sent away, but when she returns to the king, more beautiful than ever before, also the princess is bewitched into a furiously ugly and hideous being. And even still, Elisa holds her ground in order to save her loved ones, ultimately reflecting Andersens' personal philosophies of life. Childishly believing in the protection of God and immortality, Hans Christian did not go to church and denied the existence of the devil and damnation. Hence, in his version of this classic fairytale, it is the Christian confession which takes center stage, incarnated through a psychological portrait of princess Elisa, whos name meaning "The one who honors God. For as it turns out, not even the darkest of sorcery can darken Elisa's heart. Poor little Elisa stayed in the peasant hut, and played with a green leaf, for she had no other toy. She made a little hole in the leaf and looked through it at the sun. Through it she seemed to see her brothers' bright eyes, and whenever the warm sunlight touched her cheek it reminded her of all their kisses. When Elisa saw her own face she was horrified to find it so brown and ugly. But as soon as she wet her slender hand, and rubbed her brow and her eyes, her fair skin showed again. Then she laid aside her clothes and plunged into the fresh water. In all the world there was no King's daughter as lovely as Elisa. When she had dressed herself and plaited her long hair, she went to the sparkling spring and drank from the hollow of her hand. She wandered deeper into the woods without knowing whither she went. She thought of her brothers, and she thought of the good Lord, who she knew would not forsake her. He lets the wild crab apples grow to feed the hungry, and he led her footsteps to a tree with its branches bent down by the weight of their fruit. Here she had her lunch. After she put props under the heavy limbs, she went on into the depths of the forest. It was so quiet that she heard her own footsteps and every dry leaf that rustled underfoot. Not a bird was in sight, not a ray of the sun could get through the big heavy branches, and the tall trees grew so close together that when she looked straight ahead it seemed as if a solid fence of lofty palings imprisoned her. She had never known such solitude. "No," the old woman said. 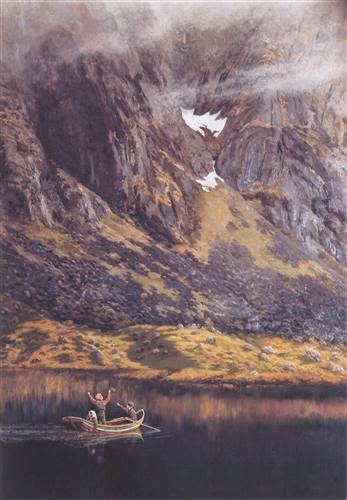 "But yesterday I saw eleven swans who wore golden crowns. They were swimming in the river not far from here." "It rolls on tirelessly, and that is the way it makes such hard things smooth," she said. "I shall be just as untiring. Thank you for your lesson, you clear rolling waves. My heart tells me that some day you will carry me to my beloved brothers." Among the wet seaweed she found eleven white swan feathers, which she collected in a sheaf. There were still drops of water on them, but whether these were spray or tears no one could say. It was very lonely along the shore but she did not mind, for the sea was constantly changing. Indeed it showed more changes in a few hours than an inland lake does in a whole year. When the sky was black with threatening clouds, it was as if the sea seemed to say, 'I can look threatening too." Then the wind would blow and the waves would raise their white crests. But when the wind died down and the clouds were red, the sea would look like a rose petal. "We do not live on this coast. Beyond the sea there is another land as fair as this, but it lies far away and we must cross the vast ocean to reach it. Along our course there is not one island where we can pass the night, except one little rock that rises from the middle of the sea. It is barely big enough to hold us, however close together we stand, and if there is a rough sea the waves wash over us. But still we thank God for it. 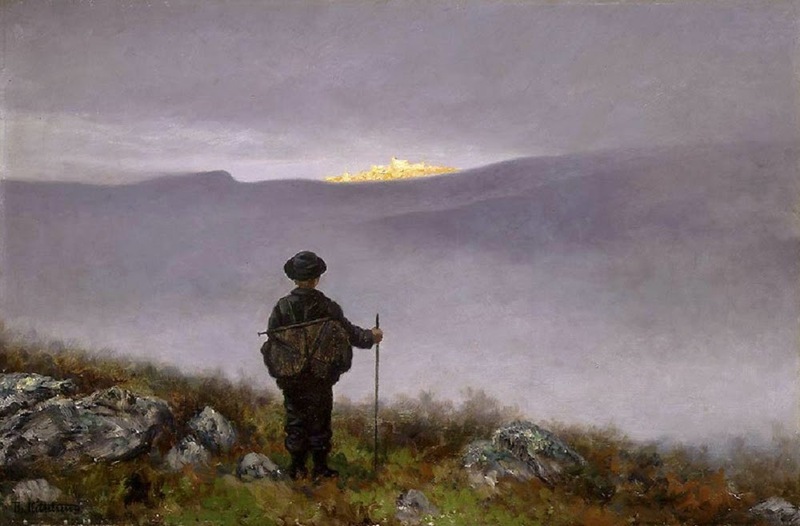 "In our human forms we rest there during the night, and without it we could never come back to our own dear homeland. It takes two of the longest days of the year for our journey. We are allowed to come back to our native land only once a year, and we do not dare to stay longer than eleven days. As we fly over this forest we can see the palace where our father lives and where we were born. We can see the high tower of the church where our mother lies buried. And here we feel that even the trees and bushes are akin to us. Here the wild horses gallop across the moors as we saw them in our childhood, and the charcoal-burner sings the same old songs to which we used to dance when we were children. Tbis is our homeland. It draws us to it, and here, dear sister, we have found you again. We may stay two days longer, and then we must fly across the sea to a land which is fair enough, but not our own. How shall we take you with us? For we have neither ship nor boat." "How shall I set you free?" their sister asked, and they talked on for most of the night, sparing only a few hours for sleep. Two big tears rolled down the King's cheeks as he went home with suspicion in his heart. That night he pretended to be asleep, but no restful sleep touched his eyes. He watched Elisa get out of bed. Every night he watched her get up and each time he followed her quietly and saw her disappear into her private little room. Day after day his frown deepened. Elisa saw it, and could not understand why this should be, but it made her anxious and added to the grief her heart already felt for her brothers. Her hot tears fell down upon her queenly robes of purple velvet. There they flashed like diamonds, and all who saw this splendor wished that they were Queen. But toward evening she heard the rustle of a swan's wings close to her window. It was her youngest brother who had found her at last. She sobbed for joy. Though she knew that this night was all too apt to be her last, the task was almost done and her brothers were near her. I portray H. C. Andersen in storytelling performances. 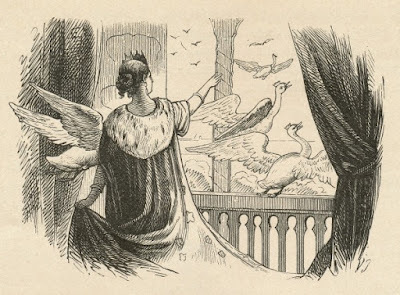 I was quite interested to see the origins of "The Wild Swans" story, for I knew that Andersen had "borrowed" it from another source. Thank you for your research and sharing of this information. I will share this link on my Hans Christian Andersen Facebook page.